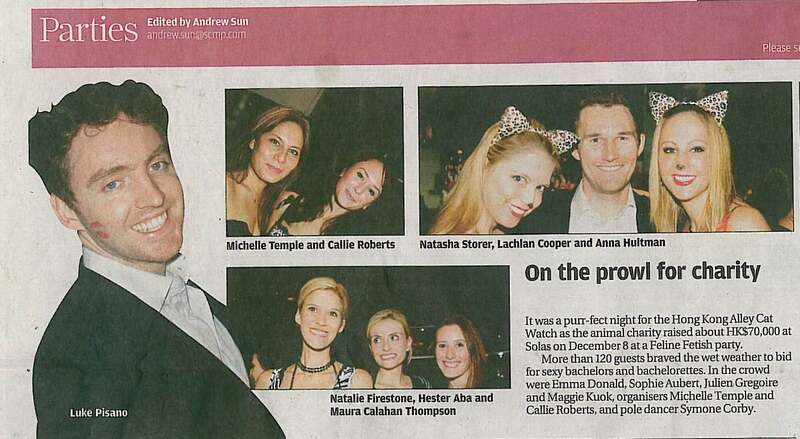 South China Morning Post ran some post-publicity pics of the ‘Feline Fetish’ charity fundraiser party in their Thursday 31 December edition. Big shout out to Andrew Sun for once again covering main pointers of the night and for also cutting out and blowing up a picture of one of my friends Luke Pisano for the main pic. Luke (or ‘School-boy’ as we call him) HATES photos and got endless shtick for this from his fellow traders at Macquarie. I definitely ‘got him’ with this article! This entry was posted in Charity, Hip Hong Kong, LinkedIn, Publicity. Bookmark the permalink. ABC – adidas Brand Champions!